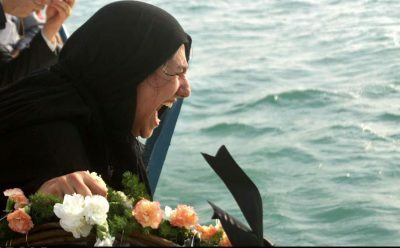 The title above comes from an article in the Washington Post published in 2013, referring to the shooting down of civilian Iranian Air Flight 655 back in 1988. The Iranian airliner was on a routine flight from Tehran to Dubai, when it was shot down by two surface-to-air missiles launched from the US warship USS Vincennes. The aircraft was in Iranian airspace, flying over Iranian waters in the Persian Gulf, and was flying away from US warships in the area. All 290 passengers and crew were killed. There were no survivors. In the context of the tragic downing of Malaysian airliner M17, where official outrage in the United States and Australia were squarely directed at the Russian President Vladimir Putin and the Russian-backed rebels in eastern Ukraine, it is appropriate to explore the conduct of the US with regard to the comparable crime of shooting down a civilian airliner. There was near unanimity in the corporate-controlled media about the culpability of Putin, and the blame was placed on the shoulders of the Ukrainian rebels opposed to the US-backed, ultra-rightists and racist regime in Kiev. The possibility that one of many neo-fascistic, thuggish militias operating under the guidance of the Kiev regime was never seriously considered or investigated. Australian Prime Minister Tony Abbott threatened to ‘shirtfront’ Russian President Putin at the G20 Leaders Meeting in Brisbane. The Russian government laughed off the remarks, but it does indicate that the Australian ruling class is willing to play the role of attack-dog for the American imperialist power. The steady and unrelenting barrage of accusations of the Russian side’s culpability has never been seriously questioned. Be that as it may, the perpetrators of such a horrific crime should be brought to account. Throughout the Iran-Iraq war, which lasted most of the 1980s, the United States actively encouraged the Iraqi regime of former President Saddam Hussein with military assistance, intelligence-sharing and loans. The US stationed naval warships in the Persian Gulf, supposedly to protect maritime commercial traffic in that region. 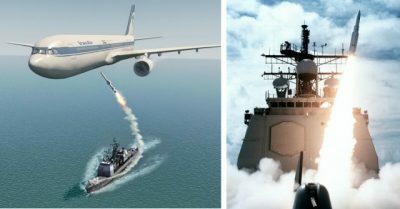 The US Navy was monitoring naval and air traffic out of the Persian Gulf, and had engaged in attacks with Iranian warships. The USS Vincennes commander, Captain William C. Rogers III, ordered the shooting down of the Iran Air 655 and two missiles were launched. The aircraft was destroyed and all on board were killed. They included 66 children. In the subsequent investigation into the attack, the US authorities blamed human error, describing the airliner’s downing as a regrettable tragedy. Then US President Ronald Reagan, basing himself on the reports submitted by US naval officials, stated that the commanding crew of the USS Vincennes believed they were under threat and took appropriate defensive action given the circumstances. Admiral William Crowe, then the chair of the Joint Chiefs of Staff, also defended the actions of Captain Rogers, remarking that the USS Vincennes had sufficient reasons to believe they were in danger and took the necessary defensive measures. All of the assertions of the US government in relation to the shooting down of Iran Air 655 have been shown to be false. The Iranian airliner was transmitting signals indicating its civilian status, something that the US Navy with all of its sophisticated technology could hardly have mistaken. 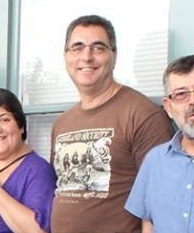 Flight 655 was ascending, flying away from the military carrier rather than descending towards the ship. The cover-up of the criminal action of bringing down a civilian airliner is just as inexcusable as the crime itself. In 1990, the captain of the USS Vincennes, William Rogers III, was awarded the Legion of Merit for meritorious conduct for his performance as a commanding officer. The officers and sailors of the USS Vincennes may have the honor of being among the absolutely worst and most shameful of any who have ever served in uniform. 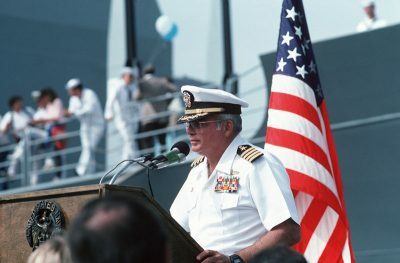 In 1991, Admiral William Crowe grudgingly admitted that the USS Vincennes was inside Iranian waters when the shooting down took place, not in international waters as the US Navy had first claimed. The enormous fury and frustration that accompanies the drumbeat of denunciations regarding the downing of Malaysian Airliner 17 reeks of hypocrisy. The deceptions of the United States ruling class are astounding, given that they have flouted the international laws that they now claim to uphold. The outrage over the demise of MH17 (whether real or manufactured) serves a useful tribal function – to unite us in an aura of hyperbolic self-affirmative superiority over an enemy that stoops to new barbaric lows – surely we are not as savage as them? In 2014, the Harvard Political Review published an article entitled ‘Sorry, but Iran Air 655 is not equivalent to Malaysia Flight 17’, a prolonged obsequious apologia for the shooting down of the Iranian aircraft. The author does make an interesting point – the United States, during the Iran-Iraq war, positioned its naval warships in the Persian Gulf to protect trade routes and uphold free navigation of the seas. This is actually a legitimate difference between MH17 and Iran Air 655. Perhaps that is the only valid point in the entire article. The US imperialist power regards the Persian Gulf, and indeed the oil resources of the Middle East and Central Asia, as necessary to its own strategic and military interests. It will brook no opposition to its economic expansion, at the expense of the people in that region, the true owners of those natural resources. The attack on Iran Air 655 did constitute a strong signal delivered by the trigger-happy rulers of the American war machine – this region belongs to us, defy us, and we will take steps to blast you into oblivion. Malaysia has no economic or material interests in the Ukraine, or Eastern Europe. It has never attacked any European country, nor placed its soldiers on foreign soil, or constructed military bases in foreign countries. Perhaps it is time to examine the deceptions, hypocrisies and evil committed by our own political and economic leaders. Successive Australian governments, both Labour and Liberal, have made it a virtue (if it can be called that) of riding on the coattails of US foreign policy objectives. An axis of evil can only exist when a criminal power has willing underlings that comply with its predatory actions.